In recognition of his contributions to the art of cinematography, the American Society of Cinematographers (ASC) has announced that Stephen Lighthill, AFI Conservatory Cinematography Discipline Head, will receive the ASC Presidents Award at a gala on February 17, 2018. The Presidents Award honors an individual’s contributions to the next generation of cinematographers, and Lighthill joins the likes of Douglas Trumbull and Albert Maysles in receiving the honor. Lighthill has long been a leader within the industry. He is on the Board Of Governors of the American Society of Cinematographers and the National Executive Board of the International Cinematographers Guild. In 2010, he received the Deluxe Bud Stone award for Outstanding Educational Contributions to the Art and Craft of Cinematography from the ICG, and the 2010 SMPTE Kodak Education Award for Outstanding Contributions in Film Production Education. He served as President of the ASC from 2012-2013 and is annually a jury member at CAMERIMAGE cinematography festival. He has served as cinematographer on many documentaries including GIMME SHELTER and BERKELEY IN THE ’60s. His cinematography credits for independent features include OVER-UNDER, SIDEWAYS-DOWN, HOT SUMMER WINDS and SHIMMER, all produced for PBS’ American Playhouse. 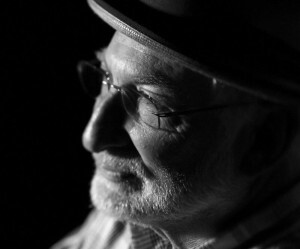 Lighthill served as director of photography on the TV series VIETNAM WAR STORY, EARTH 2 and NASH BRIDGES. He returned to documentaries as the cinematographer on BOFFO! TINSELTOWN’S BOMBS AND BLOCKBUSTERS and THE ALZHEIMER’S PROJECT: CAREGIVERS, both for HBO. Lighthill began teaching at the AFI Conservatory in 2001, before becoming head of the Cinematography discipline in 2004. The program has propelled to success such cinematographers such as Janusz Kamiński, Wally Pfister, Robert Richard, Caleb Deschanel and Robert Elswit. Recently, AFI alumna cinematographer Rachel Morrison (AFI Class of 2006) became the first woman to shoot a film in the Marvel Cinematic Universe. Other cinematographers to have graduated during Lighthill’s time include Mátyás Erdély (SON OF SAUL) and Autumn Durald (PALO ALTO). Since the AFI Conservatory began in 1969, AFI alumni have received 31 Best Cinematography Oscar nominations and seven wins.